The bravery of our soldiers overshadows the difficulties their families go through while they're away. The crisp morning air in Quetta crackled with excitement. For several days, rumours had been circulating among the army children that their fathers would soon be deployed on board a mammoth C-130 cargo plane. Their mothers, however, did not seem to share their enthusiasm. In fact, the children noted that they were all behaving rather oddly, and many of them had hidden their faces behind large, dark sunglasses to keep their husbands from seeing their tears. One of them, a 30-year-old woman, battled conflicting emotions as she put on a brave face for her husband despite knowing his chances of returning were slim. This woman was my dadi. Among the children gathered were my father, then six years old, and my two aunts who were five and seven. The year was 1965 and, unbeknownst to most kids at the airport, their country was on the brink of a major war. Most of the smartly suited men they had come to see off would return in coffins. At that point, my father and his siblings were used to my grandfather’s routine deployments. Any prospects of missing their father’s company were diminished by regular communication through written letters. It was only later that they discovered my grandfather had written one letter for each day he thought he would be away, well in advance, to give the impression that he was still alive and well. Otherwise, their lives carried on as usual; the only difference was that schools closed early. Their boredom was often alleviated by racing each other to the trenches when the air raid sirens rang. Childhood bliss meant they were ignorant of the fact that the sirens signalled the looming threat of being bombed. On the other hand, army wives found themselves struggling, as previously their daily routines had revolved around their husbands. Nights that were previously spent dolled up on the arms of their husbands at gala dinners in the mess hall were now spent huddled around the radio with other army wives. They waited with bated breath to hear news from the frontlines. During this time, the battle-hardened wives of senior officers became a pillar of strength for the younger women. Duas were prescribed by them like medicine and passed around like contraband. ‘Shaheed’ was a word my father often heard in hushed whispers during those days, but he did not fully comprehend the weight that title carried. One night, the 9pm radio broadcast mentioned the name of someone familiar: his neighbour Major Ziauddin Abbasi (after whom Karachi’s Abbasi Shaheed Hospital is named). The transmission was interrupted by a wail that arose from their neighbouring bungalow. His young wife had become a widow not even a year into her marriage. At the tender age of six, my father realised that there was a very real possibility that his father might not return and, as custom dictated, he would become responsible for the wellbeing of his mother and sisters. From then onwards, the evening radio announcements were regularly punctuated with screams of anguish from nearby. The mood in the usually lively cantonment became sombre and morose. The letters filled with childish drawings and fairytales stopped coming. To add to my grandmother’s woes, my youngest aunt developed a bout of persistent high-grade fever. A nearby military hospital diagnosed her with tuberculous meningitis. Treatment at the time was an antibiotic injection given every six hours for two months. The war had sucked most of the cantonment’s resources, and going to the hospital meant walking there on foot. Undeterred, my grandmother made the journey daily until the soles of her only pair of shoes were worn out. Emotionally and mentally exhausted by my aunt’s illness, and by the prospect of her husband not returning anytime soon, my grandmother contacted her brother, a colonel, for support. He travelled to Quetta to take his sister and her family with him to his residence in Wah Cantonment. As fate would have it, upon reaching Wah my grandmother’s brother was also summoned to the border. Fortunately, her cousin also happened to live in Wah and he opened his doors for both families. However, the war was at its peak and resources were slim. Tensions flared between the three families living in close quarters, and the children were often told off for eating more than their portions. 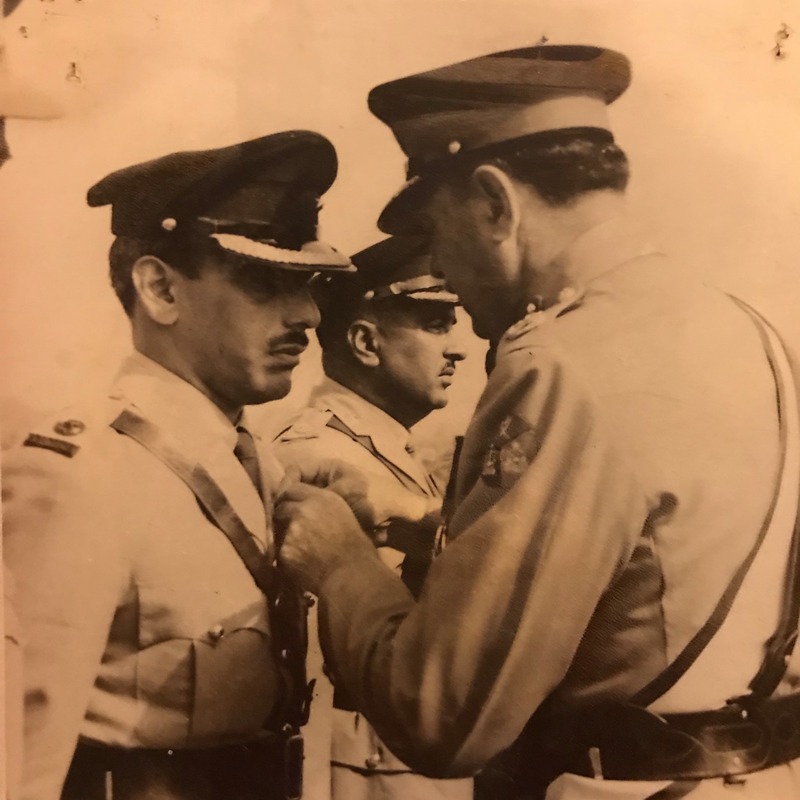 My grandfather receiving the Sitara-i-Jurat. 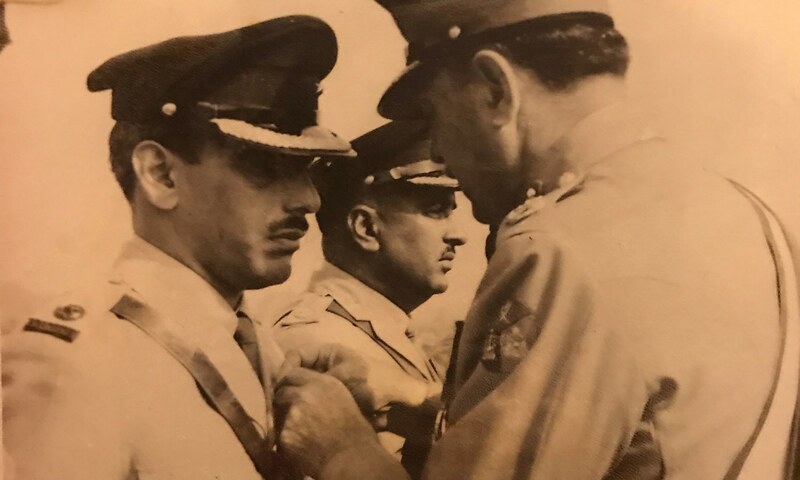 My grandfather was given the award by General Ayub Khan on March 23, 1966. This was the first military parade since the war had ended, and patriotism was at an all-time high. My father and his sisters sang and cheered until their voices were hoarse, and the army wives beamed with pride as medals were bestowed upon their husbands. However, the mood soon turned bittersweet as the names of the martyrs were announced. Their widows and families, all dressed in white, sat separately in a big white tent. Patriotic songs and cheers were masked by the sounds of burly soldiers sobbing for their lost comrades-in-arms, widows for their brave husbands and orphans for their fathers, as their posthumous honours were announced. Often, the valour and bravery of our soldiers overshadows the experiences and difficulties their families go through while they are away. The psychological pain and trauma inflicted on their loved ones can last a lifetime. In fact, my grandmother suffered a back-to-back nervous breakdown after the war. Even at the age of 85, she finds it difficult to talk about those conflict-ridden years. My father and aunts frequently lament that they did not get to spend sufficient time with their father as children. To this day, my father carries the burden of the war years on his shoulders. Nowadays, we tend to have a romanticised view of the war which is often magnified by blockbuster movies and nationalistic war anthems. But as someone who has seen some of the consequences, war is not something that should be glorified and soldiers and their families should not be used as pawns for political gain. Maryam Hassan is a doctor who graduated from the Aga Khan University. She is an avid reader, eager consumer of pop culture and sports enthusiast. Well said, we’ll written. However, from time immemorial, soldiers have always been used in wars for political gains by ruling elites a this is the unfortunate reality! Hope better senses will prevail and humanity will understand wat is primitive and certainly not answer to any of our problems. Excellent articles....nobody cares or even bother to care families of dead soldiers...economy of war is a closed door subject.....influential people including those in higher position in army profits a lot fromantic war.....its unaudited profit..
Brilliantly expressed and written. You are a writer of high class. War is not a nice thing at all and I shudder when I see comfortably seated TV Channel experts glorifying and encouraging the advent of a war. As if waiting to comment on a T20 thriller about to take. How naive can they all be. I believe from other side of the border you would hear the same stories. 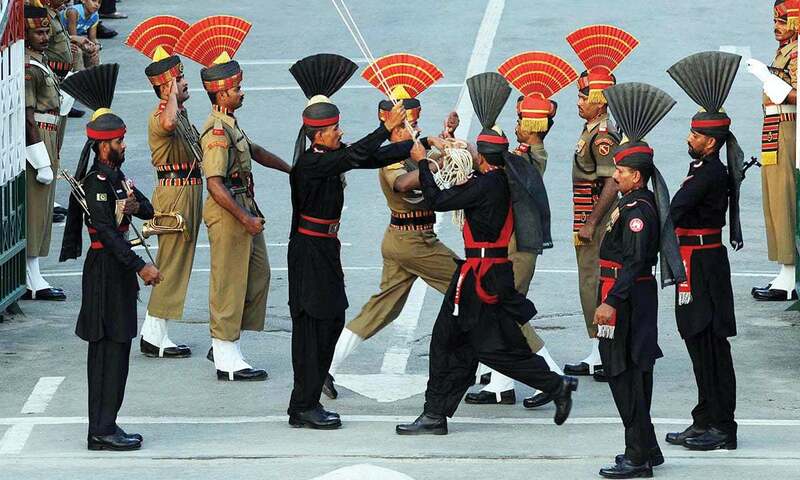 I belong to traditional army family. From generation to generation it was a great honor to follow the tradition. Until I was on the turn to follow the footsteps of ancestors, my mother stood up and refused to give up. Her argument: "I haven't bear the child to get killed in war as a solidier." She was rock solid and at the end she "won the battle." Sensible read. May almighty be with you and most people in the world. Wonderfully written piece, a fresh perspective in the midst of war hysteria prevalent on every forum. War comes with its price on everything and I hope that we do not succumb to the vain pride that comes with the prospect of 'winning' a war. We need more narratives like this to present the real-life version of war -- not the dramatized, glorified, movie version of war that the media tends to propagate. Nice article and captures well the cost families pay when one or more members of the family in the armed forces. This is not only in the time of war (though war is a more serious situation) but also during the time of peace when a family member is deployed in far flung places away from family for months at a time or in an exercise for months at a time. I have had uncles who never made it back from an exercise during the time of peace! Unfortunately, when a person joins the armed forces, the family pays the price either in terms of life or psychological well being or both. This actually begs a question. Ever wondered why the wealthy (not rich) of the world never send their kids to join or fight. Because they know the game and understand who it is being played for. Why would anyone in that position would want to upset this equation! Hence the phrase, "We appreciate your service to the country". Translation: We appreciate you fighting our wars so we can make even more. "My father and his sisters sang and cheered until their voices were hoarse, and the army wives beamed with pride as medals were bestowed upon their husbands." See how thrilling the wars were ! So many lovely and shining medals decorating the shelves in the house! What more can one aspire for ! Indeed those were the halcyon days when our pride verily kissed the sky. Very well written and true. Behind all the jingoism and fake show of war and military pageantry, lie rivers of blood and tears. I wish that all human beings realised this and stopped using war and violence . There are more civilised ways of handling conflict. A very good blog. Only the families of service personnel know the hardship and pain of posting in the frontline. Unfortunately there no peace rallies in both countries against conflict. It is the sacrifices and not the war that is glorified. Today you might not think the ideals were worth the sacrifice, your grandfather thought otherwise. A well-written article relating to family life of armed forces personnel. I wish the author had mentioned the name of her grandfather. 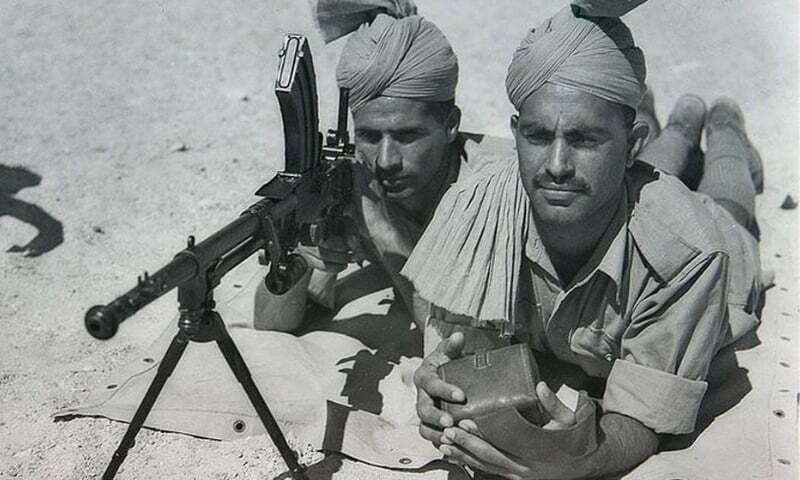 From the photograph, it can be made out that he served in the Baluch Regiment. During the 1965 war, my father commanded 2nd Baluch the very same regiment I joined in 1972. Had the author written the name of her grandfather, I would have been able to trace the details of his bravery for which he was awarded the Sitara-i-Jurat. Salute to the brave soldiers who have perished defending their motherland. Prayers for their families who have to endure their loss on a daily basis. very nicely shaped the real story of true hero's of the time. they are the ones who stand for the betterment of the country. Excellent article. Hope the general public understands the consequences of war. It inflicts pain and loss on humanity. Self serving leaders manipulate situations to stoke inflammatory passions to suit their goals. High time people at large understood these machinations. Hope better sense prevails, and people exert sufficient pressure upon their leaders to choose the path of peace and cohabitation. Indian opinion. Your recollections brought tears to my eyes. 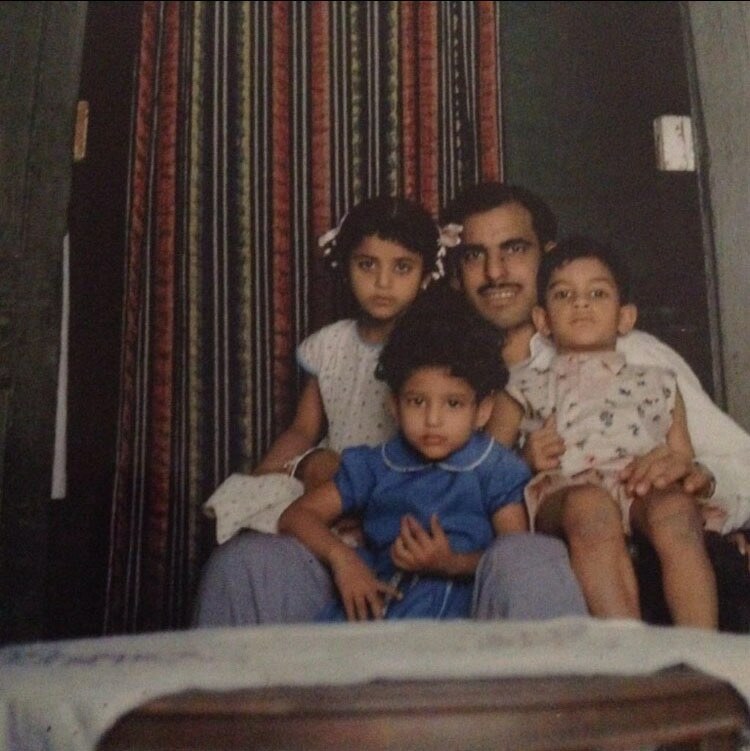 My father too was an officer in the 1965 war, and our family felt the same emotions on the other side of the border. So true, there is nothing romantic about war. ery well said .. war is devastating. Don't understand why people support their govt's hostile actions that fuel war. @Tariq Shamsi sir, his name was Bridg. Usman Hassan. I would love to hear about the feats he was awarded the medal for, as I have only heard of them second hand from my father. Excellent article, people of both the countries should force respective governments to normalise the situation. In my opinion you keep your Kashmir we keep ours . @Rajeev , That is exactly What Imran Khan did. 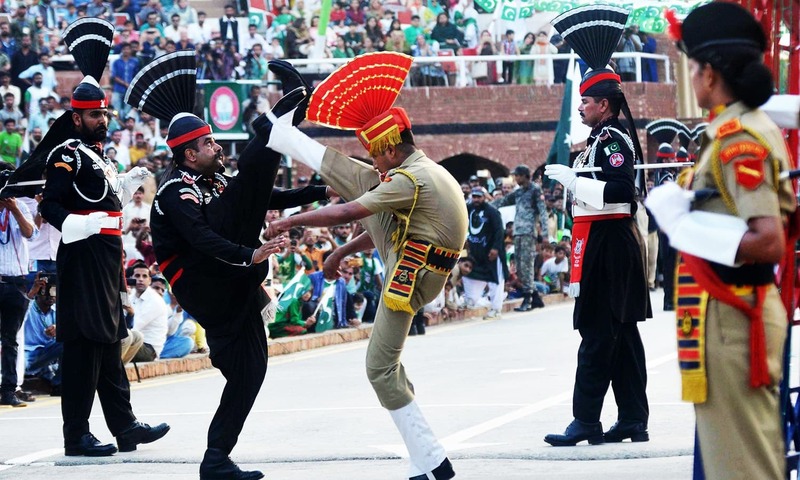 He defused tension between pakistan and India. Well written article.All of us know war does not solve any problems,it is simply destructive to all.Leaders of world should solve issues by taking. Touching stories. Nicely written. We should always avoid war. An honest article. I wish general public visit Combined Military Hospital so that they may see with their own eyes the scars of battle. Politicians on both sides of the border talk so much about territorial integrity and defence of their freedom etc. They are least concerned about the welfare and progress of the huge populations within their borders. On the other hand, small countries like Finland and Denmark are flourishing societies with much smaller populations and no armies to speak of. We should seek slogans from these smaller countries and implement some their policies if we want real progress of our people. Well written article. But I have a problem with this. I always ask a question was this avoidable. When a soldier or its family complains about death. As one chooses the profession with all its complications. Death is the biggest occupational health and safety risk and it's the highest in soldiers. So yes it's understandable that the suffering that a family goes through cannot be measured by others but the soldier and its family doesn't walk in this profession with their eyes closed. Very well written Maryam, the story is true to both sides of the border, and I bear witness. When the brave gets awarded and their families jubilant, in the same row of seats where the martyr's family sits have only one wish, if only my dad, brother, son, uncle was just alive. I have seen through the pain those families go through after all this ceremony is over and life starts to bite, "a human life is a human life", this side of the border or that side of the border, it is father, uncle, son, brother. It has not religion, no hate it is a love somebody. The people who monger war do not put their neck on line. Mankind has never learned, and I doubt it will. There is always a justification to Kill but very few to save a life. Thank you, so much for a such a soul touching write up. "There Never Was a Good War or a Bad Peace"
Sadly to say that in my immediate family I don't have serving Military personnel, but can share the feelings to an extent. My Salute to the families may be nothing to them, but still, I'd say that not only me but my future generations shall be highly obliged to them. Nicely articulated. My father is from the Indian army and I have lived through the fears..yeh..its insane what a few risk or lose for cases that cannot even be clearly defined. Pleas do not forget to read the next paragraphs also which is the essence of this column.
" However, the mood soon turned bittersweet as the names of the martyrs were announced. Their widows and families, all dressed in white, sat separately in a big white tent. Patriotic songs and cheers were masked by the sounds of burly soldiers sobbing for their lost comrades-in-arms, widows for their brave husbands and orphans for their fathers, as their posthumous honours were announced." In the previous few weeks when social media was clattering with youngsters wanting an all out war with India; after the Pulwama airstrike and the following border skirmishes and standoff between the two countries, I started thinking that how many of these very millennials actually know what happens in a war? Were they too aloof to just think that a war would just involve some soldiers going off in a separate location and fight the enemies and then come back unscathed and unhurt? And how many of those very millennials would take up arms and go fight for their own country if the country would want them to? Zero. Romanticising war is never a good idea, and I love how you portrayed a narrative about how many people, not just the soldiers fighting the war, but everyone associated with them are affected for years to come. War is, and never should be an option! Great article Maryam! Looking forward to more work from you! Nice article. My eyes moistened when I read about the author's neighbor who became a widow within a year of marriage. There is a Chinese proverb "When Elephants fight, it is the grass that suffers." When two countries are at war for no reason other than to satisfy the egos of political big-wigs it is the soldiers and their families who bear the brunt of it. A very poignant and inspiring article. I also lived through the war of 1965 that the author writes about. I was a 7 year old - almost the age of the author's father - and we lived in Karachi University Campus (not too far from the Malir Cantonment). As educated by the authorities, we all dug trenches in our backyards (to be used in case of an air riad); in the early days of the conflict there was the testing of the sirens (which in later days were only used for announcing the Ramazan iftar and sehri timings). Dark paper was put up on window panes to stop the light going out and enabling enemy detection. At night we all cuddled around the single old radio set to hear the news from the front. The subdued light of these gatherings had an the eerieness and suspense of a thriller movie. In later months, the trenches dug for the war became our play areas as we hid in these while playing hide and seek; we also built bridges of wood and clay over these trenches to drive our toy cars. @Ali Amjad, agree with you. Sadly same on this side of the border as well. Almighty created the universe on the principal of love. I hope the love will prevail in the region soon and pak/india wil have open borders EU style. Ameen! Thank you so much for this. It is so important for a patriotic country like ours to remember this other side of conflict. The article gave me points to ponder. Even if you lose war, still there're gallantry awards given. This is great - to boost morale who have chosen to send their loved ones to lay down their lives for the country. A brave and very well written article. Many congratulations to Dr. Maryam Hassan. The acute stress of having a family member deployed during wartime is not limited to spouses; children and other family members worry about the deployed member's health and well-being while also trying to pick up the slack of having a family member gone. After reading the article, I came to know that she is the daughter of my friend Dr. Hassan… Feel proud and salute to family. The article brought tears to my eyes. The truth is that pampered civilians like me will never truly see or grasp the brutality of actual war. The men who fight to the death are the ones who suffer, but even more so, it's their widows who will live the rest of their lives in suffering. When the awards ceremony is over and the national anthem has been played, and the crowds all pay their respects and go home, these widows are left utterly alone, to go back to empty, silent houses. A dialog from a Hindi movie: "Whichever side wins a war but a soldier loses something". Bare truth explained by the real victims of wars. War mongering politicians wage wars for their own benefit at the cost of precious life of brave soldiers. Very well written, thanks. My mother, now touching 92, would echo these sentiments.